We are a professional pressure washing business which specializes in the maintenance and care of houses in Belleair, Florida. 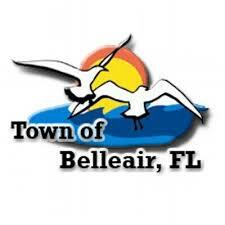 The city of Belleair is known for its civic pride. After suffering a downturn in growth due to financial debt, community and civic leaders revamped the town in the 1950’s by founding city recreational programs, a sewage system, expanded water system and a town hall. Forward thinking Belleair officials and residents set land aside for paths and parks. In the meantime, Belleair’s elected officials set up a strong code system in order to preserve a better way of life for the residents of Belleair. Our company, Pinellas Affordable Pressure Washing, wants to help the town of Belleair hold on to the quality of life that has been established for its residential communities. Our mobile power cleaning services far exceed those of other power cleaning companies. Our home washing equipment is state of the art and our pressure cleaning technicians provide superior power cleaning skills. There is no pressure washing service near Belleair that can outdo our cleaning with power service. The list of surfaces that Pinellas Affordable Pressure Washing provides for the city of Belleair is extensive. For instance, we pressure wash house exteriors, garage floors, cement driveways, fences, sheds, patios and roofs. No job is too big or too small for our experienced power washing pros. Our power pressure washing process is capable of removing various stains and miscellaneous dirt and grime from concrete, brick, stucco, wood and more. Driveways in Belleair will sparkle once Pinellas Affordable Pressure Washing pros finish the job..
Pinellas Affordable Pressure Washing knows no limits. Our hard working professional power cleaning crews use high powered washing equipment to dig down deep into every surface. Our pressure cleaners wash away the accumulation of dust and dirt on house exteriors, leaving the house walls looking refreshed and new. Pinellas Affordable Pressure Washing employees pride themselves on a job well done. With our high power pressure washing services, the city of Belleair will be even more attractive to visitors and residents. Our pressure washing mobile vehicles will arrive promptly at the previously scheduled time. If some unforeseen circumstances occur and cause a delay, our customer will receive a courtesy call.